Want to see all the technologies used by khojle.in? 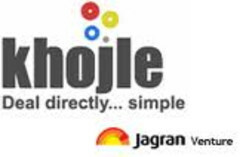 Khojle is a free classified site which includes various categories like property, mobile, cars, bikes, jobs, education, services and others, this free indian classified website allow users to post their product or service to get maximum exposure online, and to see what others are offering for buy and sell. For a quick look at additional technographic info on khojle.in or any domain on the web, download our Chrome Extension. Check out our help article to see how Datanyze Insider can help you.